As you venture into the world of chairside CAD/CAM restorations, one thing will invariably (and painfully) become quite clear: you now have to deal with material selection. Remember that chapter back in dental school, the one about feldspathic, leucite, and something or another? No? You’re not alone. 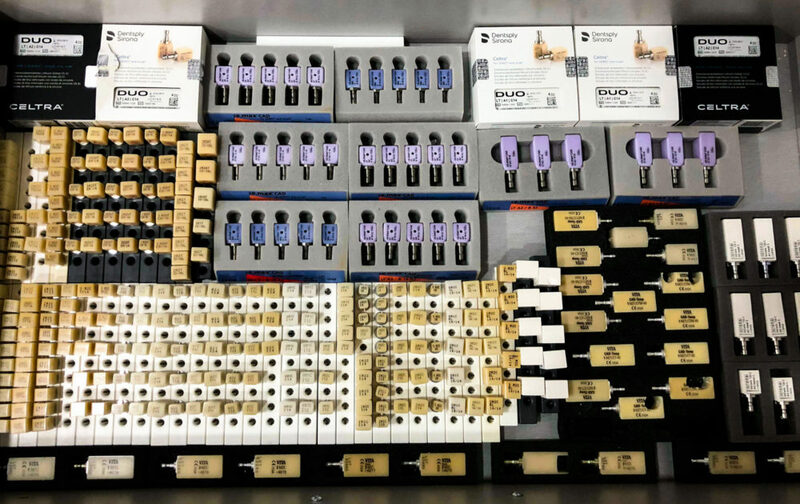 Pick your poison: one of our drawers of CAD/CAM blocks at the clinic. Source: Bonnie Huang. Imagine that you’re packing for some plein air painting in the Rockies. Which color would you pack? Green is probably a safe bet, if you are only going to paint leaves and bushes. What about the glaciers and the occasional maple tree? The answer of course, is that you wouldn’t bring just one color with you. Bob Ross teaches plein air painting. Except no Bob Ross and no plein air. 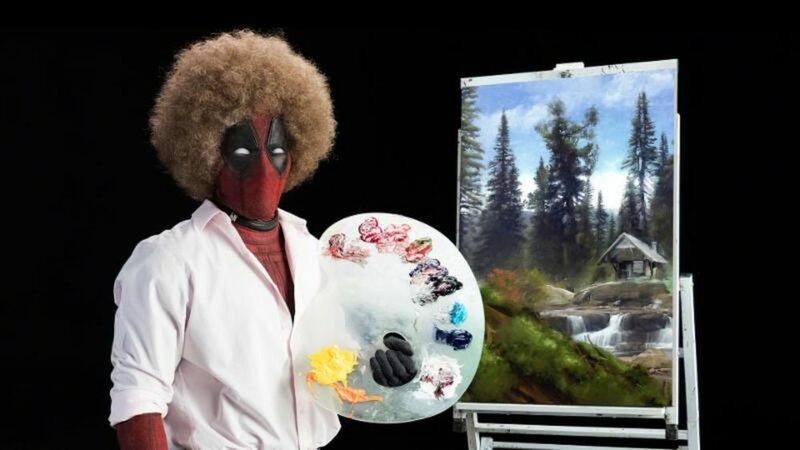 Source: Deadpool 2 promo. When we isolate our choice to an arbitrary parameter, it’s easy to lose sight of the overall perspective. For instance, material vendors love to talk about stuff like flexural strength, marginal integrity, and translucency. A quick check with google scholar will reveal that, of the three commonly used glass ceramics, feldspathics have substantially lower strength than those of lithium disilicates and zirconia-reinfored lithium silicates (ZLS). The following table lists some of the data, in MPa. So… we should never choose feldspar if we want long-lasting restorations, right? Or does each category of materials have its own advantages and disadvantages beyond just some numbers on paper? In the following clinical cases, I will focus on anterior restorations and discuss one very important factor in material selection (especially for single-visit restorations without cutback and layering): shade. When restoring only a few units of dentition, you are at the mercy of the quality of their neighbors. 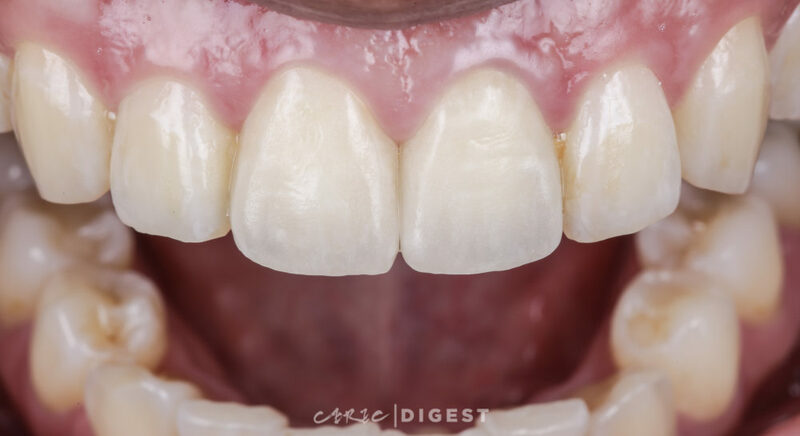 For most patients that want their false teeth to remain as inconspicuous as possible, the shade and texture of the neighbors play a vital role in the material selection. In this first case, we used the Triluxe Forte, a feldspathic ceramic from VITA. Initial photo. Patient asked for treatment on her 11 and 21. In my anterior workflow, choosing the material is preceded by systematic data collection and consultation with the in-house dental technician. 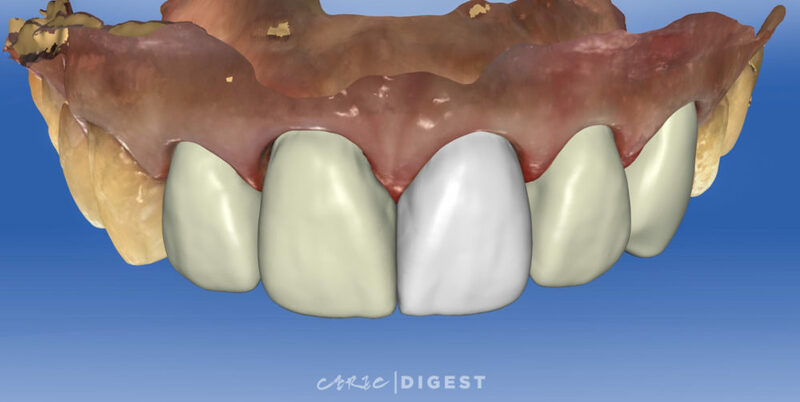 The final decision is often based on numerous factors, such as: the base color and characterization of the target neighbors, the color of the abutments, the degree of axial reduction, and the depth of the bite. 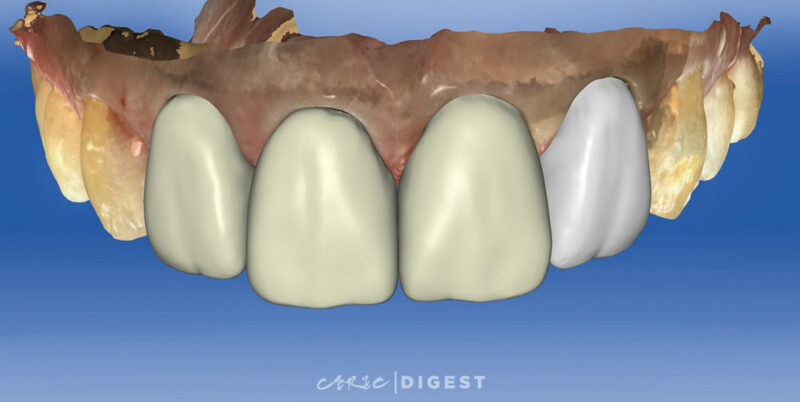 Design of 11 and 21 in CEREC for same-day delivery. For this particular patient, Triluxe Forte was an attractive choice primarily due to the shade gradient that matches very nicely with the laterals. 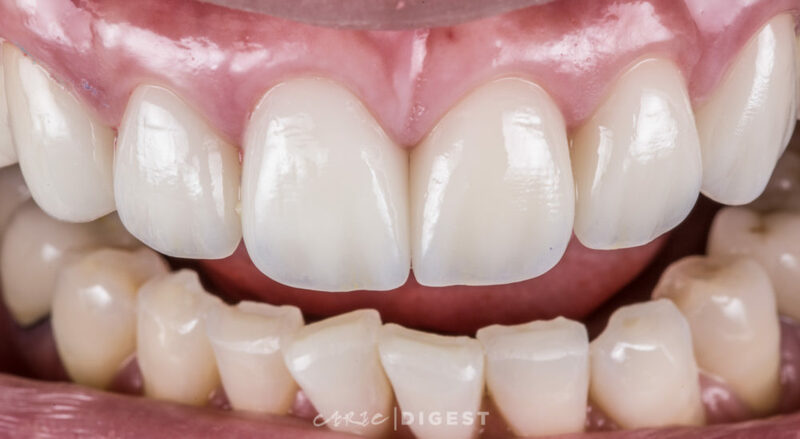 This means that during external staining, the dental technician doesn’t have to deal with manipulating the base color, but can rather prioritize on characterization and texture. Follow up. Material choice was VITA Triluxe Forte. Monolithic with external staining only. CDT: Sally Hsieh. In this second case, we chose IPS e.max CAD, the de-facto lithium disilicate from Ivoclar Vivadent. Initial photo. 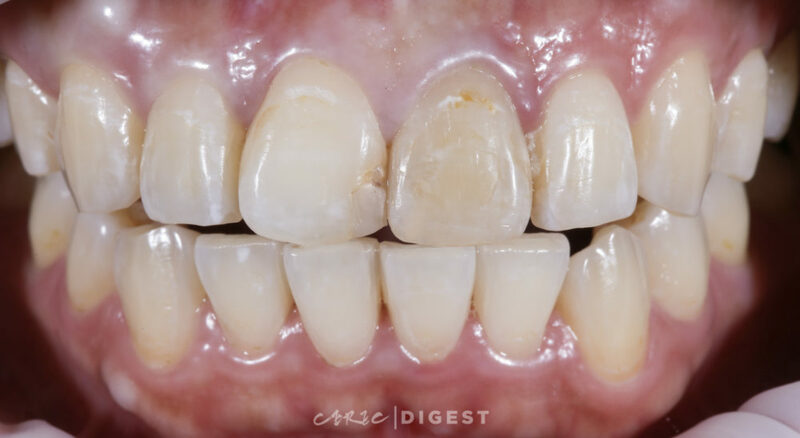 Patient asked for restoration of 15 – 23, where 15×13 was an old porcelain-fused-to-metal bridge. I’ve heard many times from our friends in the West that people there seem to be in love with e.max. Apparently its market share is something like 40%, which is crazy to me because I definitely don’t use e.max that often. For single units, I find that the initial saturation of color in e.max tend to be lacking for the typical Asian’s teeth, which is usually on the warmer side. 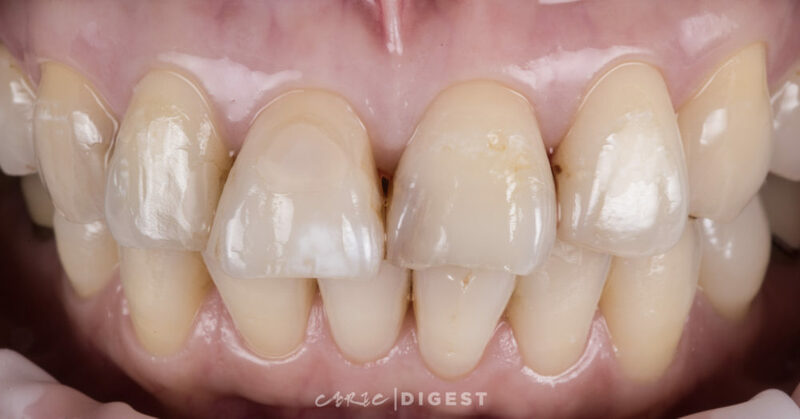 For patients doing multiple anterior units, however, e.max does have that white-and-bright aesthetics, if they prefer. 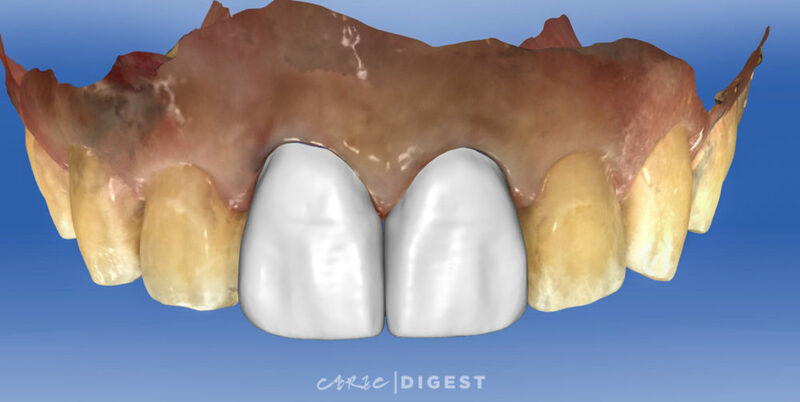 Design of 12 – 23 in CEREC for same-day delivery. 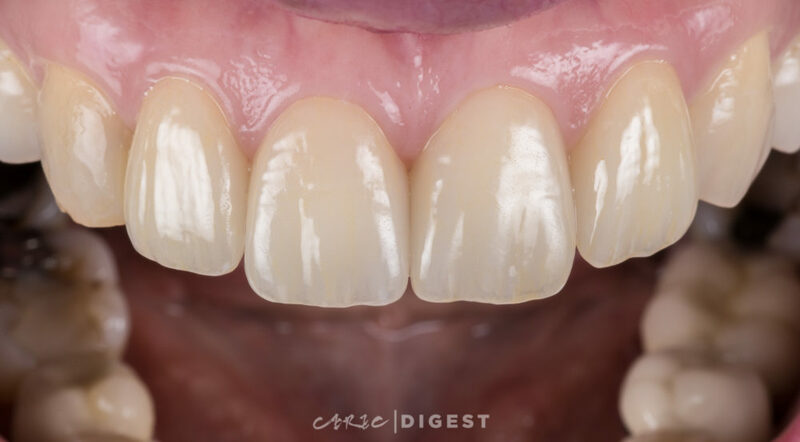 The 13×15 bridge was intentionally left out and designed in a different CEREC unit. 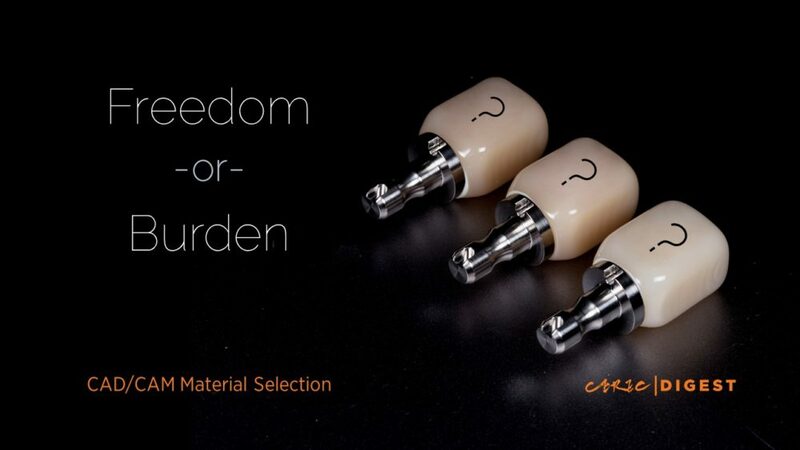 (Partially or) fully covered substructure for single-unit anterior or posterior prostheses and for three-unit prostheses not involving molar restoration adhesively or non-adhesively cemented. The recommended flexural strength and fracture toughness for class III-B is 300 MPa and 2.0 Pa√m, respectively. IPS e.max meets both recommendations and has a block long enough for milling bridges. Follow up. Material used was IPS e.max from Ivoclar Vivadent. Monolithic with external staining only. CDT: Joanna Lin. In this last case, we chose the Celtra Duo, a zirconia-reinforced lithium silicate from Dentsply-Sirona. Initial photo. Patient asked for 12 – 22 restoration. For the most part, material choice isn’t mutually exclusive. From an optical perspective for the previous case, no one’s going to stop you if you insist on using feldspathic or ZLS with matching shades. There are, however, certain situations where you are just making it unnecessarily more difficult by choosing one material over the other. Design of 12 – 22 in CEREC for same-day delivery. 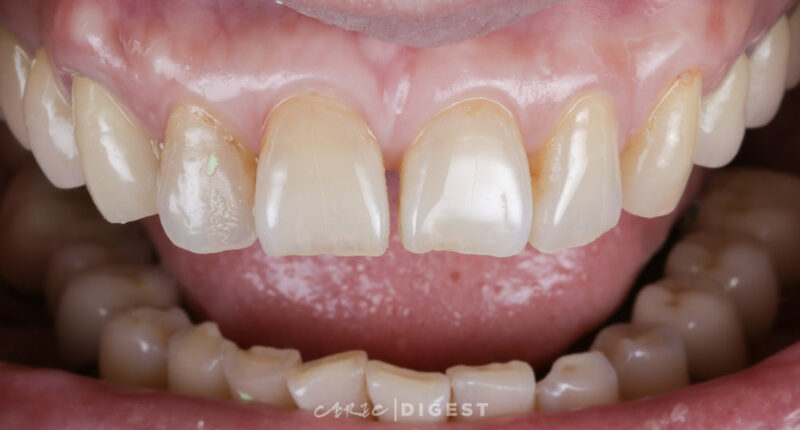 For this patient whose natural teeth had high translucency, high chroma, and low value, starting with e.max might’ve been a long and arduous journey of staining hell. A Chinese proverb is particularly fitting here: “A good beginning is half the success”. Follow up. Material used was Celtra Duo from Dentsply-Sirona. Monolithic with external staining only. CDT: Sally Hsieh. For me, choosing a material for anteriors is really like a puzzle that has no correct answers but definitely some wrong answers. The trick is to navigate the bad choices, and hopefully find an optimal canvas for the dental technician to start the painting. For posteriors, on the other hand, strength requirements greatly limit the choices available. But that’s a whole other can of worms that I will save for another day. Clearly, not everybody has the time and resources to learn about every single ceramic and then choose the best combination for their patient demographic. What if I just want to start with one and work my way up, goddammit! For single-visit chairside restorations, it’s doable, but with a catch. Who says you need more than one, anyway? Source: LOTR Wiki. For your chosen ceramic, you need to know not just its strengths and indications but, even more importantly, its weaknesses and contraindications. Know when NOT to use your CAD/CAM system and fall back to traditional methods. If you plan on doing posteriors ceramics, learn the mechanical properties. If you are keen on venturing into the anterior region, do some lab tests and assess their optical properties. Know your material and tools inside out. The last thing we want is to over-promise to the patient and then under-deliver in aesthetics. Material selection is such an expansive and interesting topic that our private study club has dedicated numerous discussions and paper-readings to it. If you are also interested, let us know your specific question and we will be glad to share our findings further.